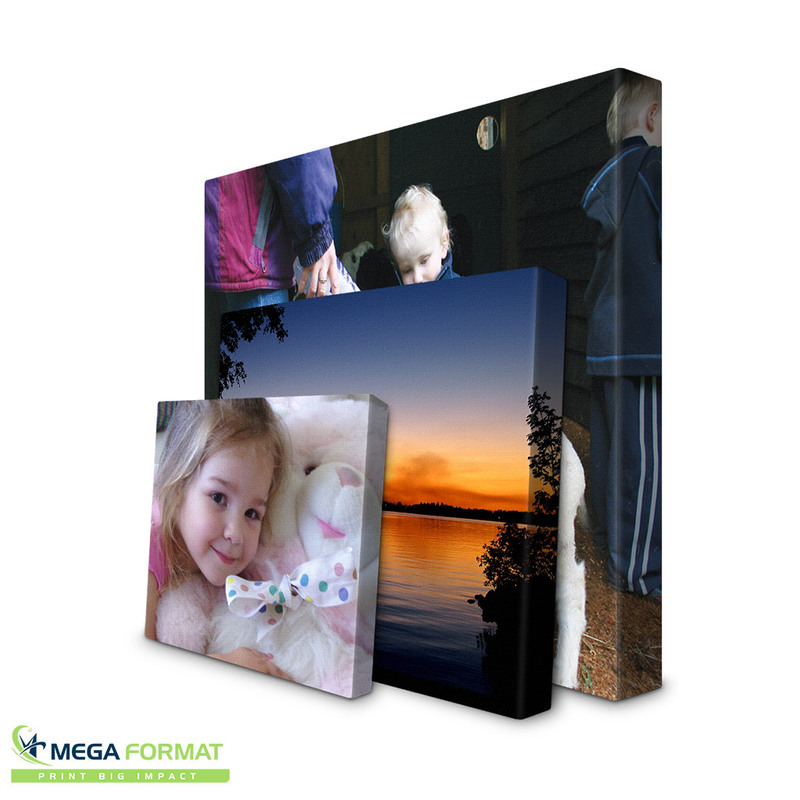 Click here for Custom Size Canvas printing without wrapping. 18" x 24" 40" x 60" 24" x 36" 48" x 60" 36" x 48" 48" x 96"
Artwork can be set actual size for regular size canvas wraps, for larger sizes, work on a smaller scale, and we will blow up to size at the time of Large Canvas Prints. If you select 3/4" thick canvas, we need 2.5 in. extra to cover the sides. If you select 1 1/2" thick canvas, we need 3.5 in. extra to cover the sides. 1) Stretching the image on all sides to cover the sides. This can only be done if the image does not have details on the edges like faces or objects since the picture will extend on the sides. 2) Mirroring the image on each side. 3) Leave white on all sides. 4) Print black on all sides. Please make sure the text is not too close to the edge of the wrap. "Only for 18" x 24" and 24" x 36"
What is Large Canvas Printing? 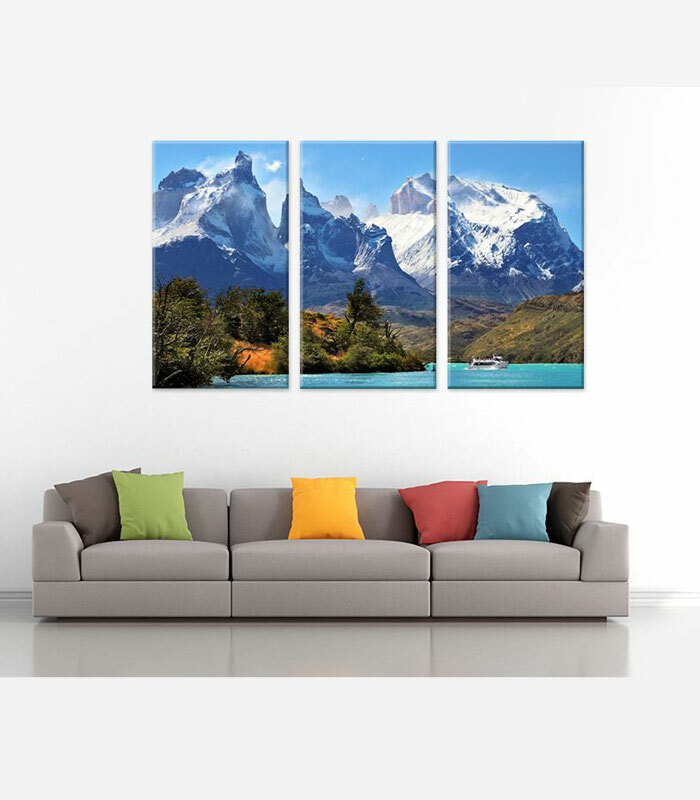 Large canvas prints is an image printed on a canvas fabric which is stretched on stretcher bars, or gallery wrapped, on to a frame and displayed on a wall. They are mostly used as wall art meant for interior décor, with stock images, or personal photographs and it gives a feel of a real painting. We print your art or photos on high quality 15 mil poly/cotton stretchable canvas, using latest HP latex ink technology. 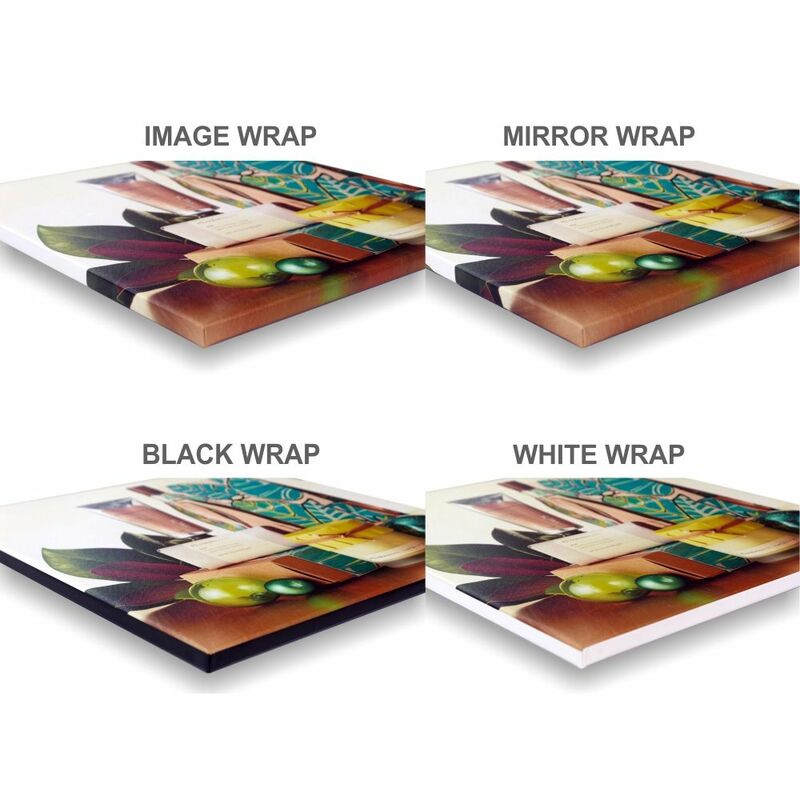 Which makes our large canvas prints, Fade Resistant, Water Resistant, Scratch Resistant and it does not crack on the edges when folded on a stretcher bars, giving you a perfect Gallery finishing that we Guarantee your satisfaction. We hand-stretch and wrap each canvas precisely by applying perfect folded corners onto stretcher bar frames. 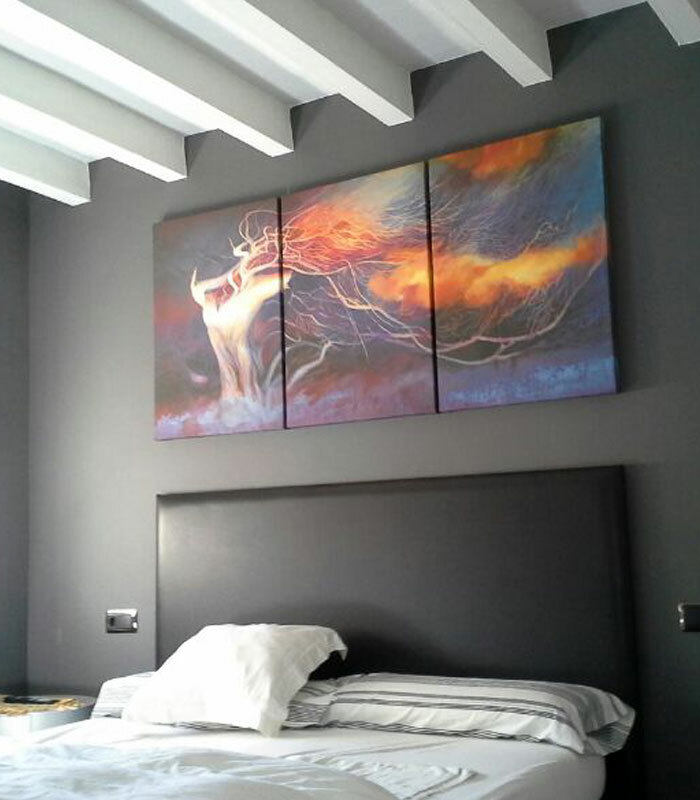 We will transform your digital artwork into amazing large canvas wall art with a painting like feel. 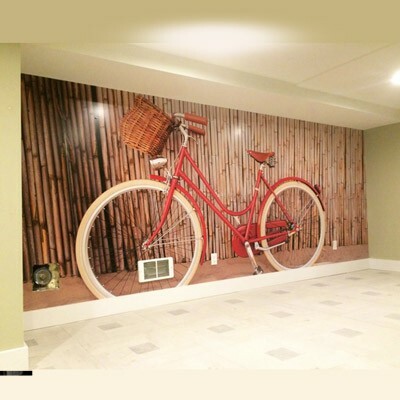 We are known by many as New York’s Finest Canvas and Large Format Printing Experts. Our customers are so pleased with our quality and prices we have received a customer rating of 5 out of 5 based on 100 + Google verified reviews. 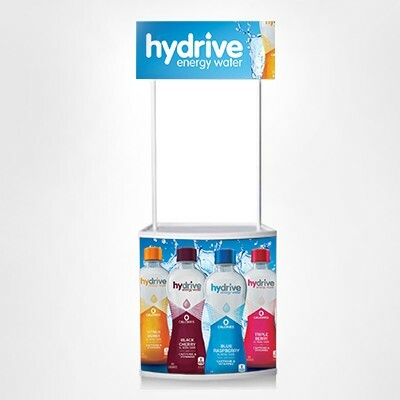 We print all canvas art at the highest dpi resolution, giving your artwork unmatched image clarity and vibrant color. We use HP latex ink technology which provides a very large color spectrum, high maximum density and greatly improved print durability. Which is why our Large Canvas prints are Long-lasting fade resistant and come with a Lifetime Guarantee. All our Large Canvas Prints comes with heavy duty hanging wire installed and is ready to hang out of the box. 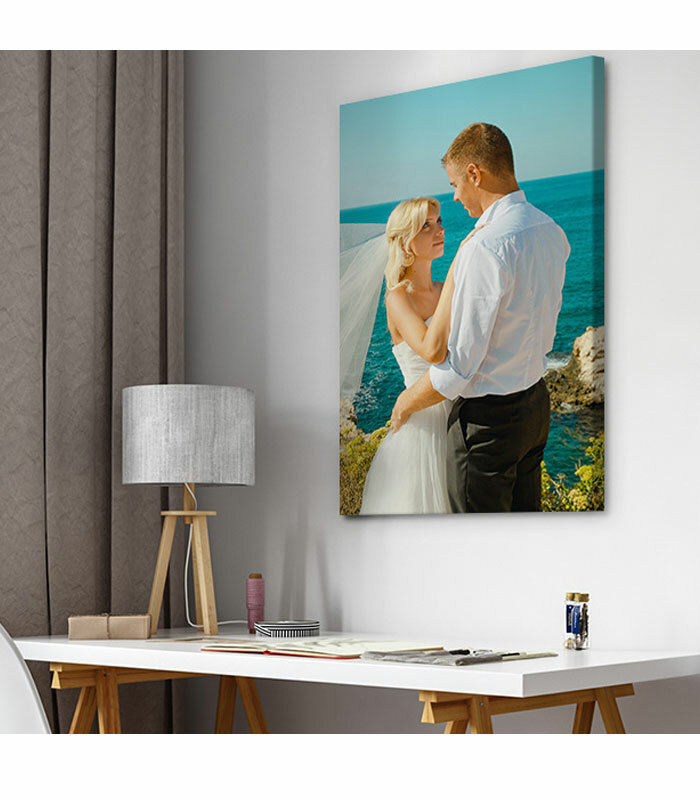 By Default, all our Large Canvas Prints are gallery wrapped, which means the canvas photo is wrapped around the stretcher bar frame and stapled along the back to hide them. 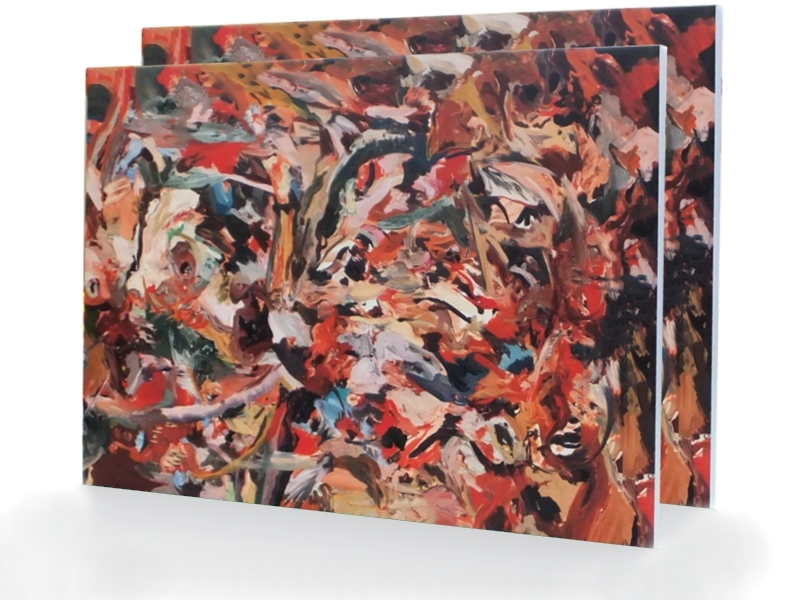 We offer all large canvas wall art wraps in two different thicknesses, 3/4" (thin wraps) and 1 3/4" (thick wraps). The alignment of your photo is well-kept on the face of the canvas. 1-2 inches of the outer boundary of the photo is reflected onto the wrap fold. The reflection then flows over the side fold of the print. The alignment of your photo is well-kept on the face of the canvas. A white or black border is applied along all sides of the print and the image does not flow over the side fold of the print. The alignment of your photo is well-kept on the face of the canvas. A custom colored border of your choice is applied along the side folds of the print. To match your room décor. 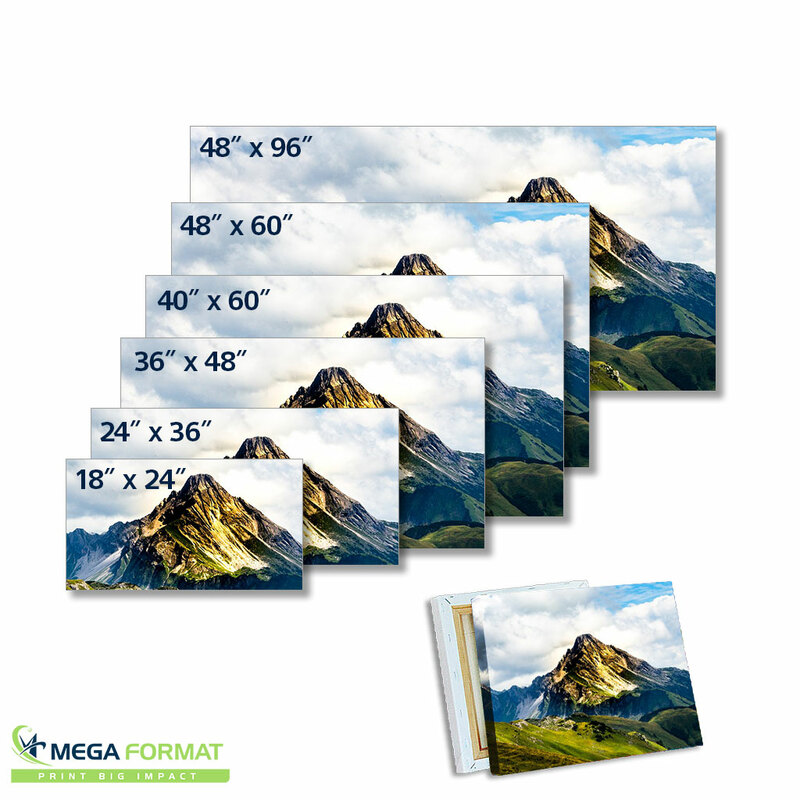 Why Trust Mega Format for your Large Canvas Printing Jobs? Trust us and give us a try, we’ll make sure that you’ll be more than happy and keep coming back to us. How to order your Canvas prints? Select the required size and canvas thickness and upload your artwork through our file uploader, one of our designers will review the image resolution to make sure the quality of the image is high enough for printing, In the event that we do receive an image that does not meet the required quality standards, our customer care team will contact you to obtain a higher resolution copy prior to proceeding with production. If you have any questions or require assistance, please contact us or chat with us. Can I send big files? What is the maximum file size to upload? You can upload files up to 400 MB on our server, for even bigger files contact us and we’ll give you an alternate file sharing system to send them. If you are transferring a large TIFF file, please be aware that transfer times are dependent on your internet connection and server load, so it could take a little while to complete uploading, please be patient and only proceed further once you see that the file is uploaded fully. If you have encounter difficulties uploading your photos, please contact us for assistance. What are the accepted file types? Our online image uploader accepts PDF, JPEG PNG, EPS, PSD, CRD AI & TIFF file types. Artwork can be set actual size for regular size canvas wraps, for larger sizes, work on a smaller scale, and we will blow up to size at the time of print. If you select 3/4" thick canvas, we need 2.5 in. extra on ea. side to cover the sides. If you select 1 1/2" thick canvas, we need 3.5 in. extra on ea. side to cover the sides.